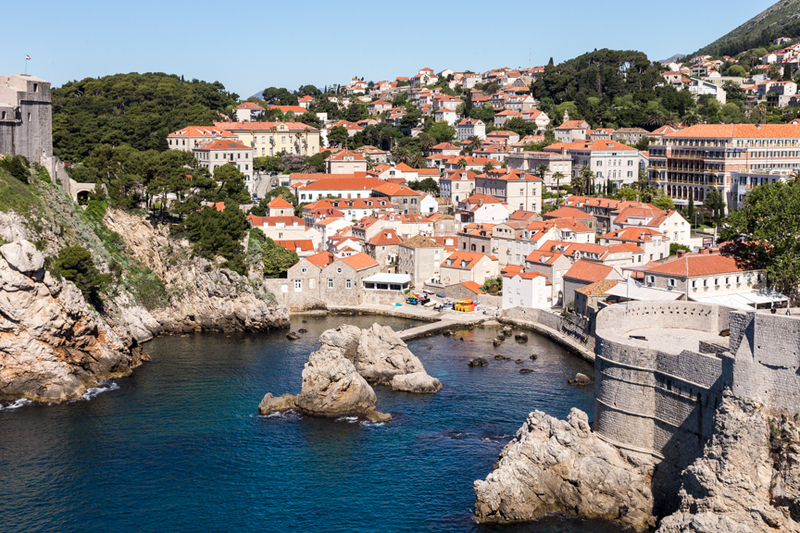 Dubrovnik, Croatia, known to many as King’s Landing in the Game of Thrones, is an ancient walled city rising from the edge of the sea. 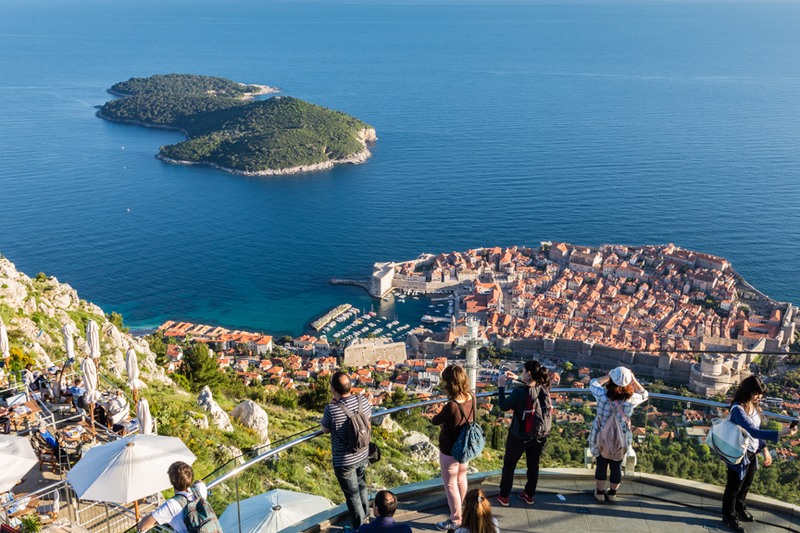 The star of the Dalmatian Coast attracts international tourists for its breathtaking views, historic buildings, and gorgeous natural wonders. 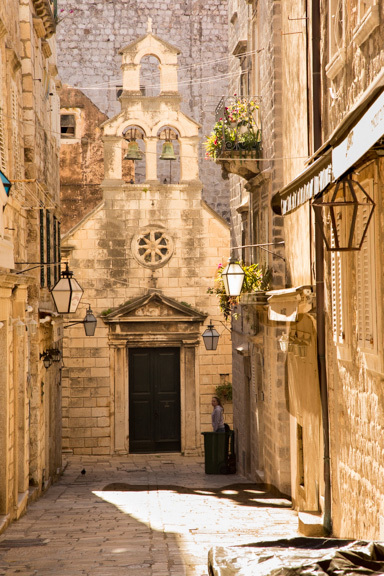 However, Dubrovnik is also a city that was struck by war in 1991. Looking down from the city walls at the people strolling along the Stradun Walk or main street in Old Dubrovnik. 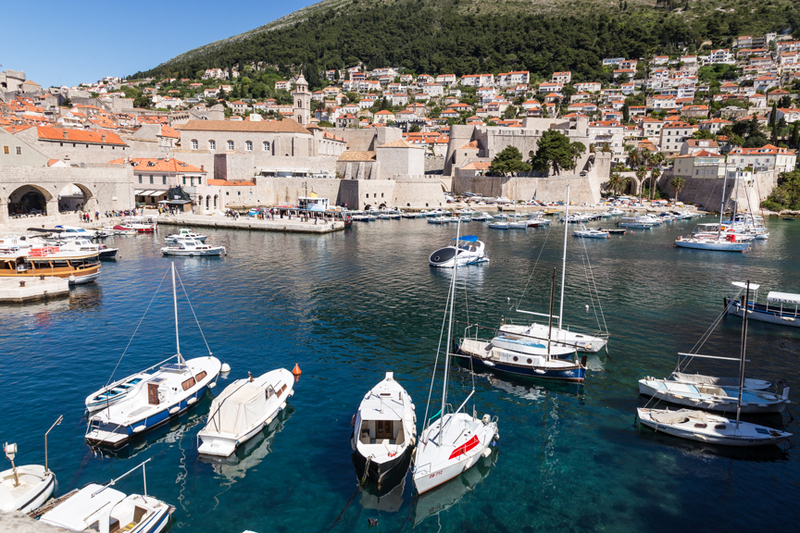 Founded in the 7th Century, Dubrovnik boomed into a maritime trading center in the 15th and 16th centuries. The city withstood attacks by the Turks and endured a horrific earthquake in 1667. But, the Pearl of the Adriatic suffered its most serious damage during the 1991-1995 war between Croatia and the Yugoslav Army. Over two-thirds of the historic town’s buildings were hit by artillery, and the narrow streets took hundreds of direct hits. Bullets also struck the medieval city walls and fires arose that damaged historic palaces. A church rests at the end of a cobbled lane. Altar in the St. Blaise Church. While the siege on the Old Town lasted just about eight months, Dubrovnik played a symbolic role in fighting for Croatian independence. Major reconstruction efforts restored buildings, and Old Town Dubrovnik is back to its former glory, except for scars from a bullet strike here or there. Be prepared for a tiny, walking town, no cars permitted, that retains its medieval charms and characteristics. 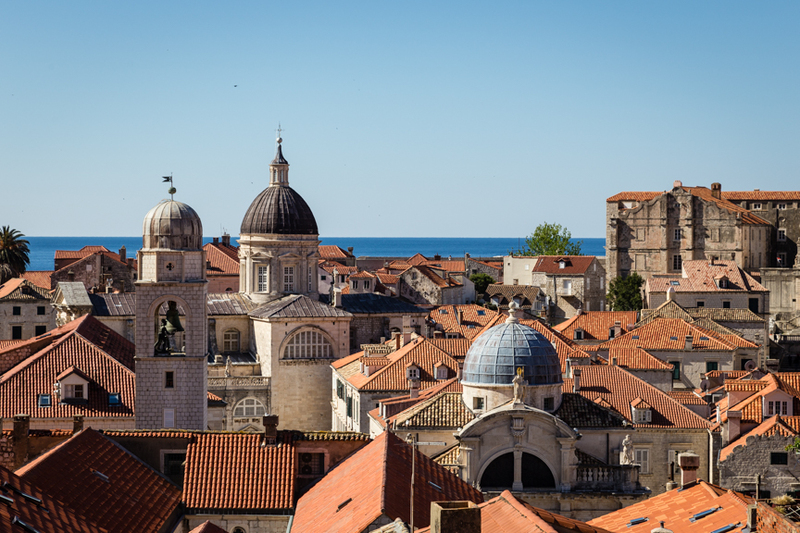 Church domes soar over the houses in the historic walled city of Dubrovnik. 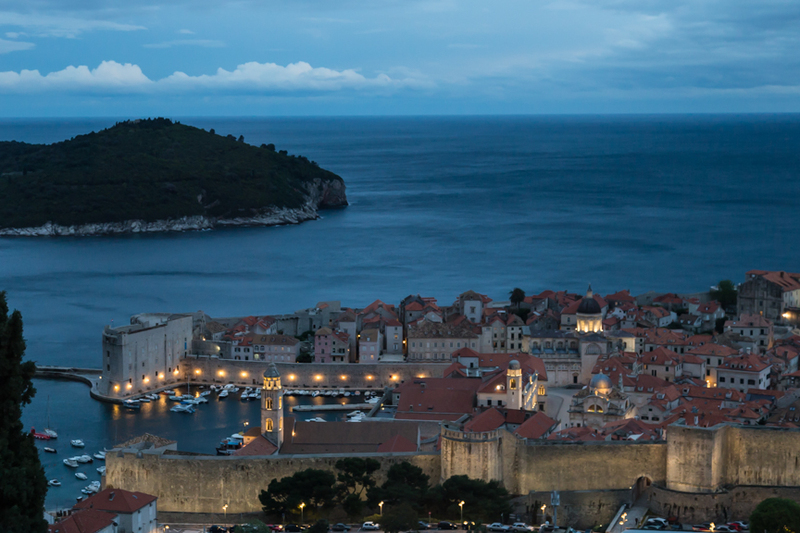 Dubrovnik’s first walls appeared in the 9th century. Since then, they have been rebuilt and fortified numerous times. One of my fondest memories is climbing up, down, and around these steep walls. You peer over red tiled rooftops and church steeples into the tightly packed enclosure, population about 1,000. The enticing views from the seaward side appear dramatically different; from these walls, relaxing views of crystal clear turquoise water, small islands and boats dominate the scene. Narrow cobblestone alleys off the main Stradun or walkway lead to small hole- in-the-wall restaurants and shops that produce delightful cuisine. Seafood is the main dish, and here I devoured my first squid burger. 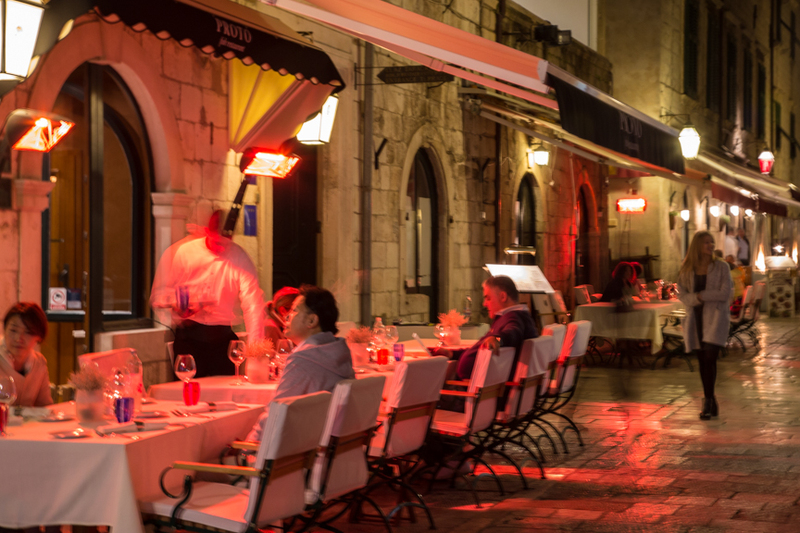 The streets at the lowest level of the town lay flat with outdoor cafes spilling onto plazas. A favorite activity is sipping coffee or wine and people watching. Evening dining in street side cafes. 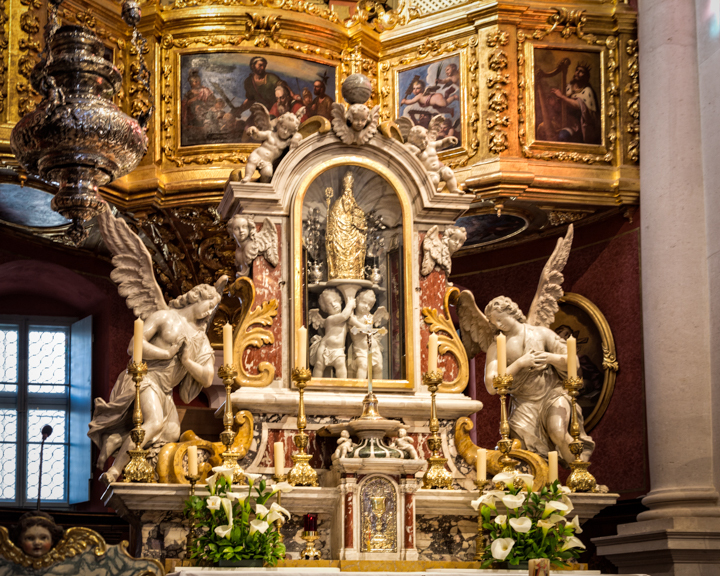 After climbing the walls, visits to the Sponza and Rector’s Palace, St Blaise’s Church, and the Franciscan Monastery are the must-see attractions. The art, mainly Renaissance religious works, is exquisite, and the dreamy cloister of the monastery makes a lovely scape from the hot sun. 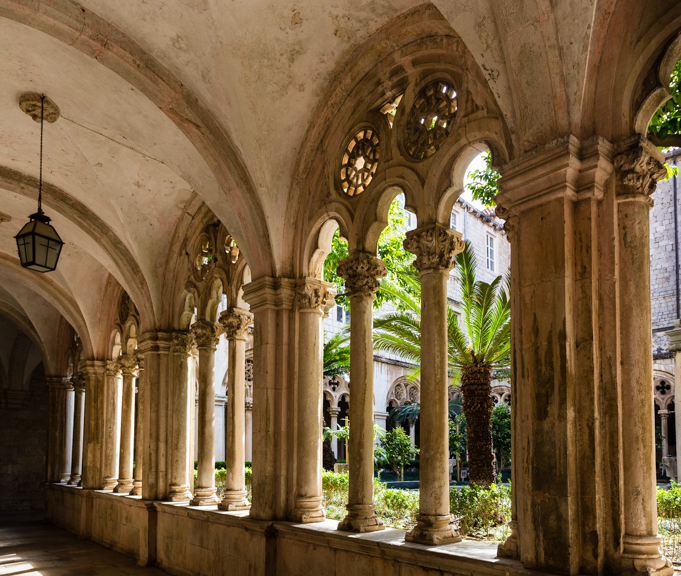 Cloister in the Dominican Monastery, Dubrovnik. 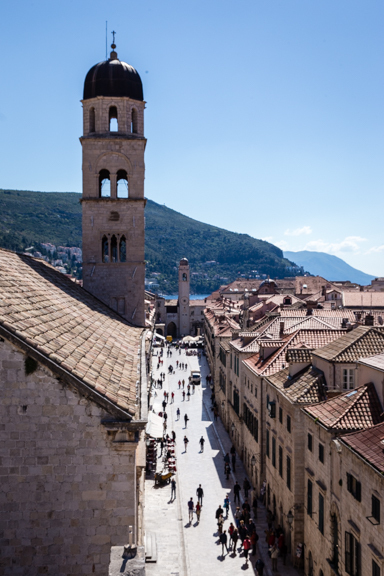 Dubrovnik became the set for several scenes in the Game of Thrones, including King’s Landing, the capital of the fictional Seven Kingdoms realm. Special tours take fans to where the filming took place. Boat rides, beaches and escapes to nearby islands, or the just offshore Lokrun Island, are the loveliest way to spend your time. I grabbed a seat on the gondola for a pre-sunset ride up Mount Srd. During the Siege of Dubrovnik in 1991, Mount Srd was the base from which the Yugoslav Army shelled the city. The cross at the top was originally constructed in 1935 but was destroyed by mortars in 1991. Since then, it was rebuilt and dedicated to the victims of the Croatian War of Independence. The panoramic views are breathtaking and dramatic as is the story of this unforgettable city. View from the top of gondola summit. Take the gondola to the top of the mountain for fantastic views. An article similar to this one appeared in the July 2016 edition of the Mandarin Newsline.